Platforms are shipped flat and are easy to assemble. Heavy-duty work platforms offer a secure way to work safely on overhead equipment. 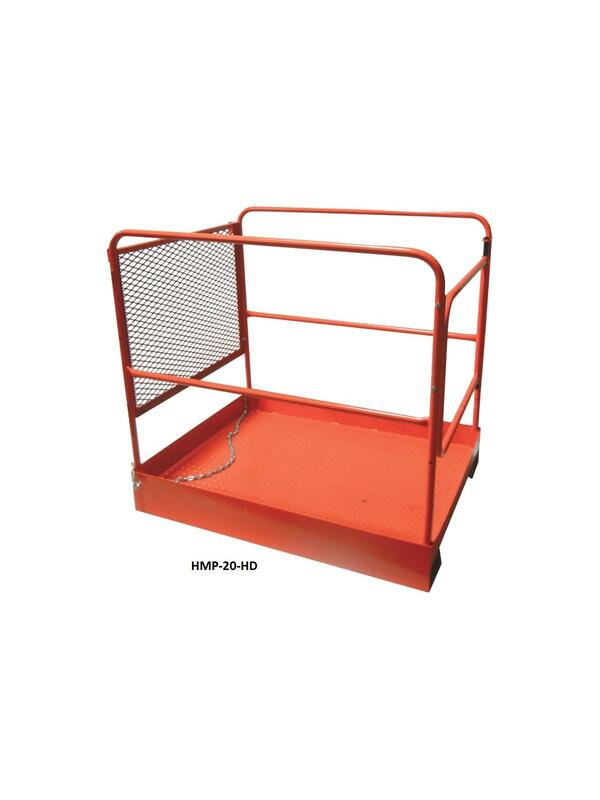 Each OSHA and ANSI compliant platform features 42" handrails, a safety chain that attaches to the forklift mast, anti-slip tread plate decking and a wire mesh back panel to reduce access to the fork lift mast. Platform options include side and rear tool trays, extended back panels, light bulb caddies and two-and-three-shelf book cases -- call for prices. FOB Shipping Point. 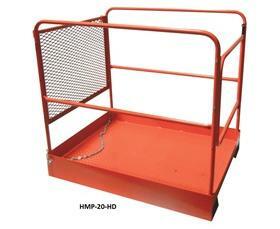 See Related Items tab for Stock Picker Shelves for Work Platforms.